Establish a highly visible vehicle for raising public awareness about the arts and humanities. Americans for the Arts will be hosting their second annual National Creative Conversation on Facebook on Tuesday, Oct. 17 from 9-10 p.m. ET. This is your chance to connect and chat with other arts advocates across the country about the arts in our communities. The hour-long conversation will be driven by a series of questions around the topic “Are the Arts for Everyone?” Spread the word by inviting anyone with an interest in the arts to join the Facebook event, here. To engage arts advocates and bring awareness of National Arts and Humanities Month, there is a social media campaign called Show Your Art. Individuals and organizations are encouraged to share images on Instagram (tag @americans4arts and use #ShowYourArt2017). Americans for the Arts will repost some of their favorites throughout the month. You can choose a different theme for each day in October! Find the list of themes here. 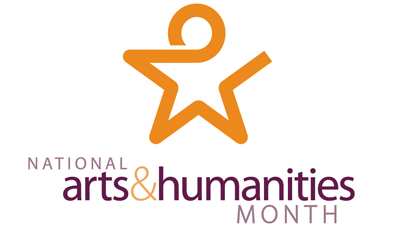 How can you celebrate National Arts and Humanities Month? You can see a play, attend a local art gallery’s open house, write your member of Congress asking for more arts funding, or participate in a poetry open mic night. Check out this list of art museums and galleries in Charlotte. Are live shows more your speed? Here’s where to go see a play, listen to music, or watch a dance performance in Charlotte. Charlotte’s 2017 Slam Team just placed 2nd in Group Piece Finals in Denver, CO at the National Poetry Slam. Find more info on this award-winning group here. If you’re a VPA or Music major here at JCSU, we have new resource for you! Go to the Visual & Performing Arts and Music Resource Guide for resources in the visual arts, performance arts, and music disciplines. The arts and humanities play an important role in our lives. They provide enrichment and strive to provide enlightening and transformational experiences to the broadest possible cross section of the American public. The arts allow us to explore ideas, express emotions, and better appreciate cultures from around the world. National Arts & Humanities Month is an opportunity to recognize and celebrate the positive impact the arts bring to our schools and communities.